Welcome to The Hain Company's website! Here you will find information about the Hain Company and its line of innovative products that can help streamline your company. Our products are diversely used throughout the manufacturing industry to speed production and reduce labor costs. The New (JSMEA) or Job Site Measuring System has been released for production. The Hain Systems Framer (HSF) will help you build square and accurate open wall panels for residential or commercial construction applications. The Measuring System (MEA) is the fastest, most consistent way to measure and cut your product! Read more about where this machine can be used, and how it can be added to your existing sawing equipment. The Folding Measuring System (FMEA) provides the same fast accurate measuring and cutting as the original MEA but in a smaller, portable version. The Table Measuring System (TMEA) provides the same fast accurate measuring and cutting as the original MEA but in a smaller version. The Portable Measuring System (PMEA) provides the same fast accurate measuring and cutting as the original MEA but in a smaller, portable version. The Manual Measuring System (MMEA) adjusts quickly with a turn of a handle without changing the operator's position on the line. 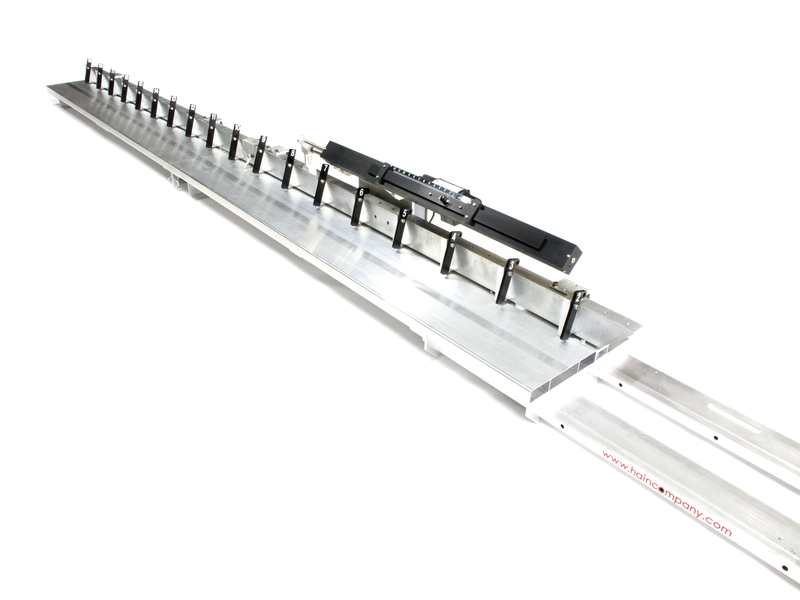 Our Extended Length Material Handler (ELMH) incorporates the original Hain Measuring System to process TJI or any other extended length material. 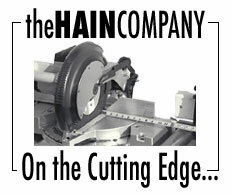 Hain's Sub Component Nailer (SCN) will speed up your production of wall panel, window, door, and other sub components. The Quick Rafter Cutter (QRC) is designed for one operator to safely and easily complete a basic two-sided rafter cut in one operation! The Vent Block Drill (VBD) is designed to make lumber, truss and wall panel manufacturing yards more efficient by easily converting scrap wood into useable vent (frieze) blocks in seconds. The Hain Company is also a manufacturer's representative for some of the top companies in the component manufacturing industry. Our customers are universally enthusiastic in endorsing The Hain Company and our line of top quality products. Please browse our website or contact us to find out how you can be added to the list of our satisfied customers.